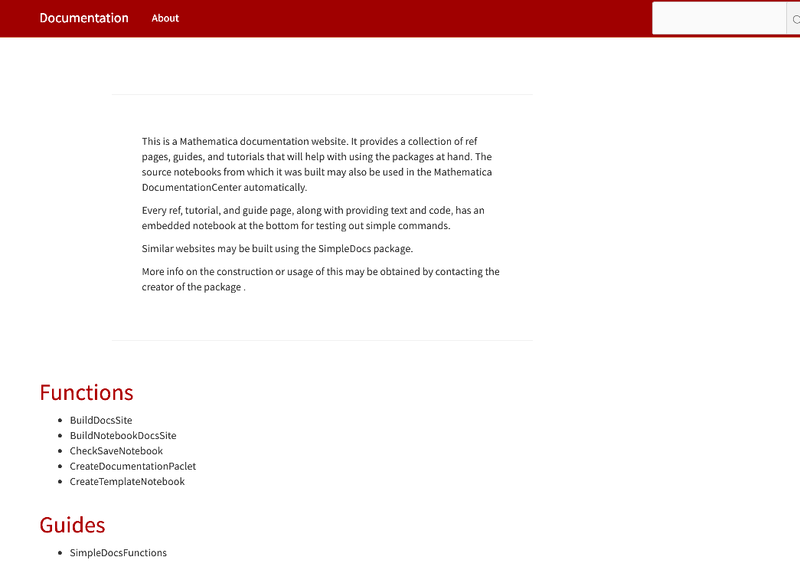 Mathematica's Documentation Center is a big selling point of the software. 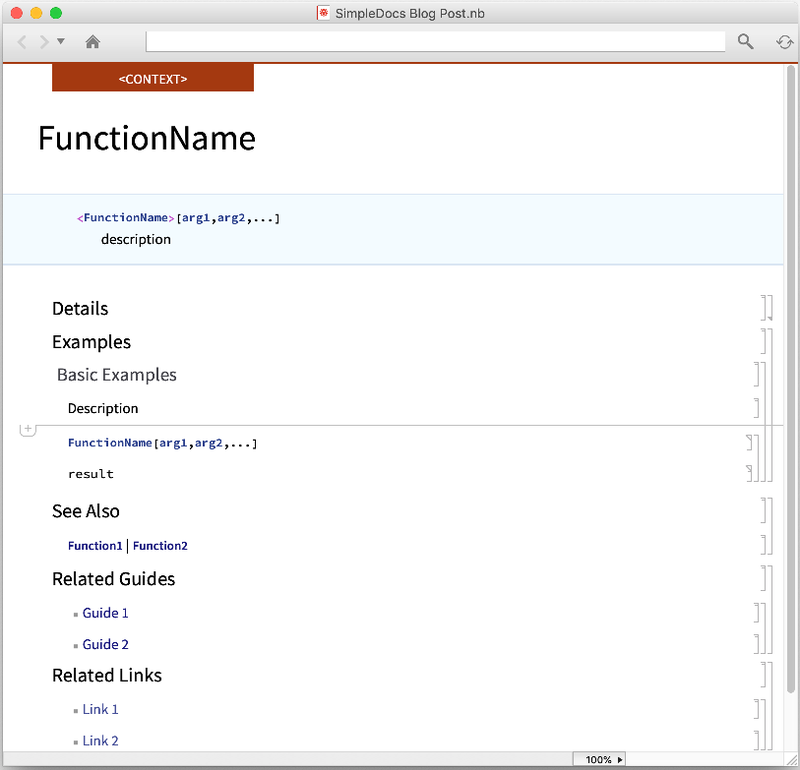 For many of the core system functions there's a rich documentation page with the basic call signatures, details on how the function works, and many useful examples. This is a powerful resource for people, especially those just getting used to how Mathematica works. On the other hand I don't think many would accuse it of being "simple". That applies in a few dimensions. For one, it's often difficult to find exactly the function you wanted. Some of that comes with the territory—it's a complicated system and language after all—but it certainly could be easier to look through a là the python docs , even if they don't have the same breadth of coverage. Another place where this applies is in building out documentation. The pages are all built with a system called DocuTools which can be seen on the Twitch streams . This is basically a huge palette and a standardized template notebook format. It supports all sorts of rich custom things. 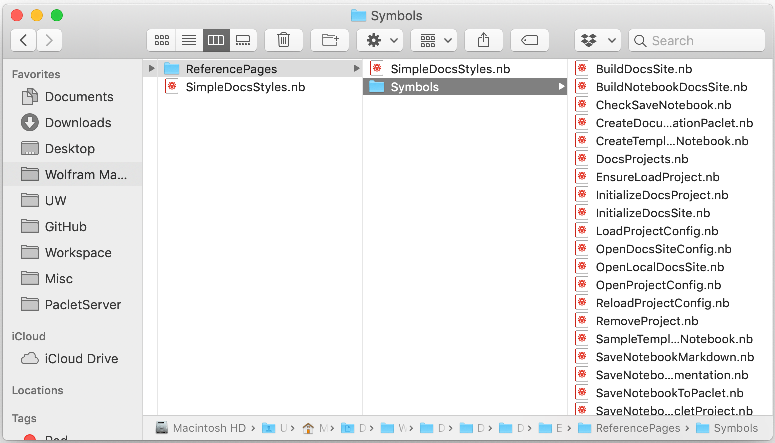 It makes standard looking doc pages. And it's (juding from the streams) buggy, got a steep learning curve, and is basically too much for the average user to want. Oh, it also doesn't build version independent pages. 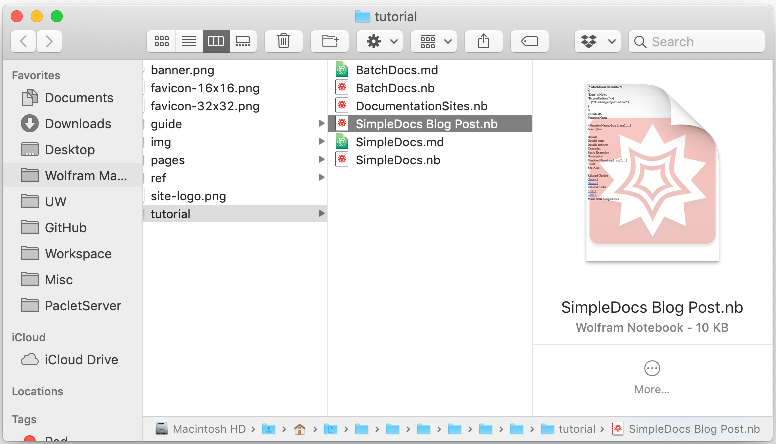 To get around this I wrote a system I'm calling SimpleDocs . You can easily install it off the Mathematica Paclet Server . If you want to contribute that's always appreciated and the code is here . 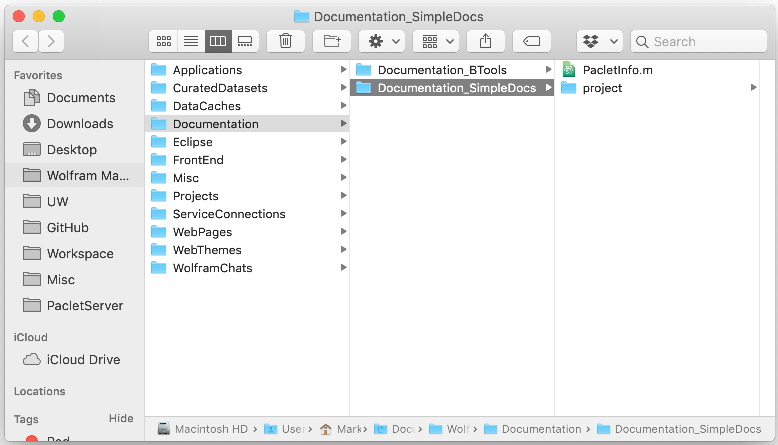 The idea here is to do as little as possible but still get fully valid documentation pages that integrate into the documentation center. On top of that it should be possible to take this simple written documentation and make a web host for it. Think Sphinx or just the standard python docs . 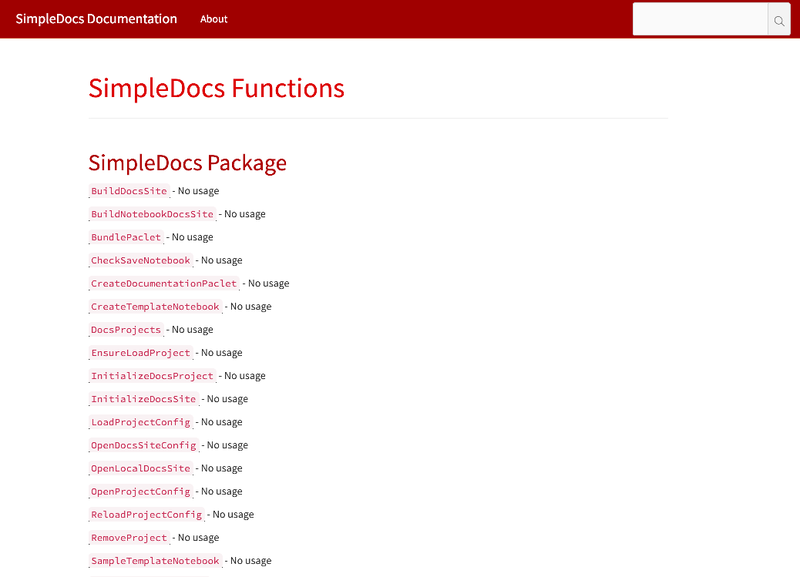 Now you're ready to start making some documentation. 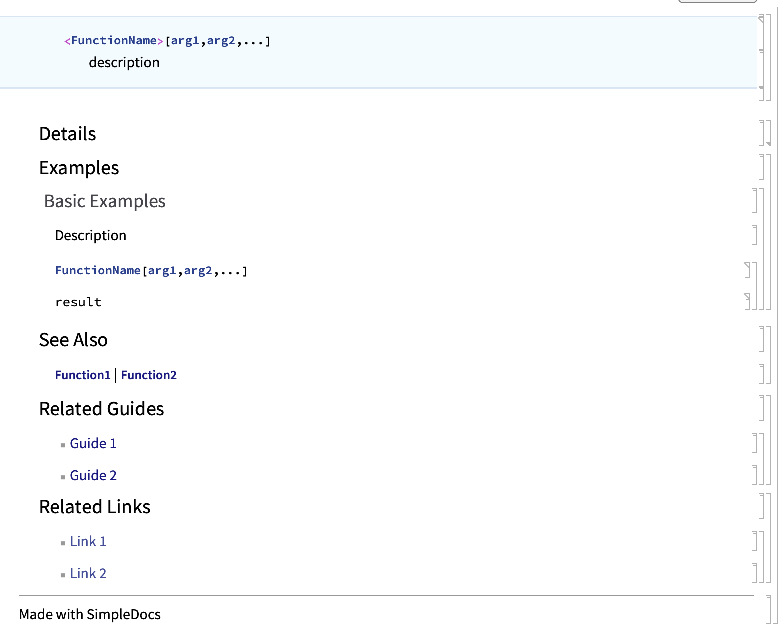 At this point you could do nothing else, save this to a Documentation directory, and this page would be possible to find via the Documentation Center. But we'll go a bit further. Since this is the most common thing people will want to do I figured I'd make a Symbol page here. What it'll be the page for I don't know but we'll figure that out. Now we just edit this like a normal notebook. Don't want to do examples since they take too long? Delete them. Don't need 'em. Basically at this point you can do whatever you want and it'll get cooked into the final result. One big warning, though, if you want this to go to the web only use standard styles and never use 2D input . What I mean by that is that for export to the web you don't want to do too much crazy stuff that will look unnatural online. The project structure is very flexible though. You can supply a directory to save in and a config file to work off of. I'll detail the config structure later if I have time, but for now look here and in the surrounding package to get a sense for what I've done and am aiming to do. 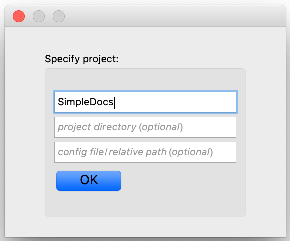 Finally, the name supplied can be supplied for any future notebooks you save so you only have to type the directory name or config file path once. The mismatch of the color bar on the top and the symbol page comes from how this is labeled in its Metadata. If we changed that to Symbol and hit Populate again it'd be blue. We don't need to run the code through the main interface. We can also do it via the package. 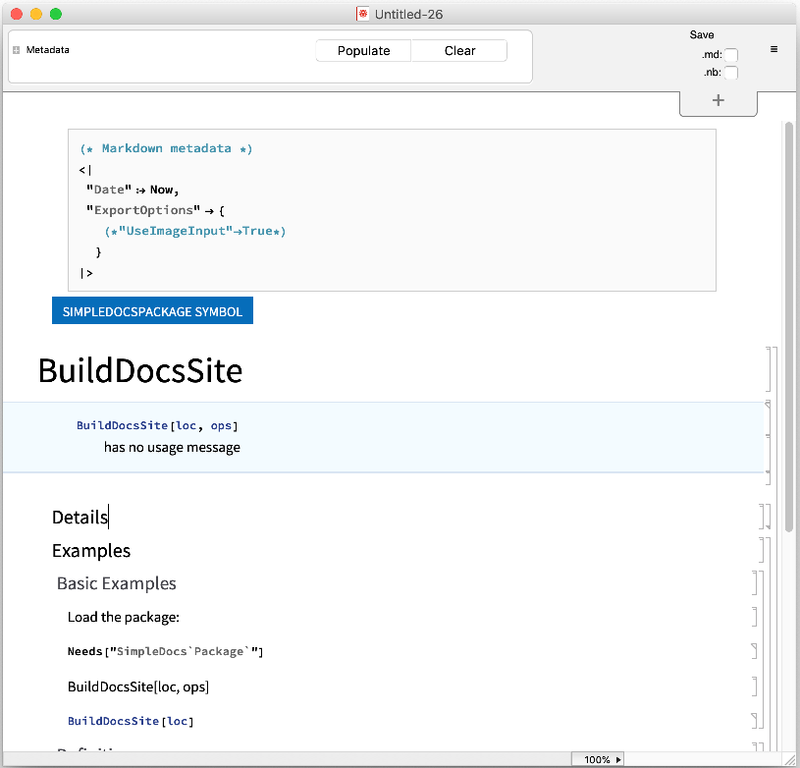 As an example, we'll use it to build out documentation for a package programmatically in a separate folder and then deploy these docs both as a website and a paclet that someone could install. You can then send this to people to PacletInstall or put it on a web server . It's up to you what you want to do with it.